The creator of the Jackson empire, Joe Jackson, passed away at the age of 89 on Wednesday 27 June, 2018, at a Las Vegas hospital. There has been no announcement of the cause of death but Jermaine, one of Jackson's sons, revealed that Joe Jackson's health had been poor for a long time and that he had been refusing any visits from his family while he had been ill. In late June, several news sites reported that Jackson was suffering from terminal cancer. A tweet was posted onto Jackson's account on Sunday saying: "I have seen more sunsets than I have left to see. The sun rises when the time comes and whether you like it or not the sun sets when the time comes." On Wednesday, his family officially announced his passing, with his daughter, La Toya Jackson, tweeting: "I will always love you! You gave us strength, you made us one of the most famous families in the world. I am extremely appreciative of that, I will never forget our moments together and how you told me how much you cared. #RIP Joe Jackson." Some of Jackson's grandchildren also paid tribute on social media, writing that he "made everything possible." The fame of the Jackson family all started in 1949 when Jackson and his wife, Katherine, got married and decided to start a family of 10 children, the firstborn being Maureen "Rebbie" Jackson. The next child to follow was Sigmund "Jackie" Jackson in 1951, Toriano "Tito" Jackson in 1953, Jermaine Jackson in 1954, La Toya Jackson in 1956, Marlon Jackson in 1957, Michael Jackson in 1958, Steven Randall "Randy" Jackson in 1961 and Janet Jackson in 1966. Originally set on being a famous boxer, Jackson decided to leave his dream behind to support his family and took a job as a crane operator. He started a band in his spare time in the mid-1950s called The Falcons, and was determined to book gigs for extra money. Although the band wasn't wildly successful, Jackson's short time in the music industry allowed him to recognise the rare talent his children possessed. He pooled the siblings' talents and formed The Jackson Brothers in 1963, made up of his sons Tito, Jackie and Jermaine. Jackson began entering them in local talent shows, eventually including Marlon and Michael, and The Jackson 5 was born in 1966. Two years later, they were offered a record deal with Motown Records. The family talent paid off and The Jackson 5 was known as one of the most successful R&B groups in history. Their father started off as their manager bringing the group into the spotlight as they sold millions of records and had their own CBS variety show. 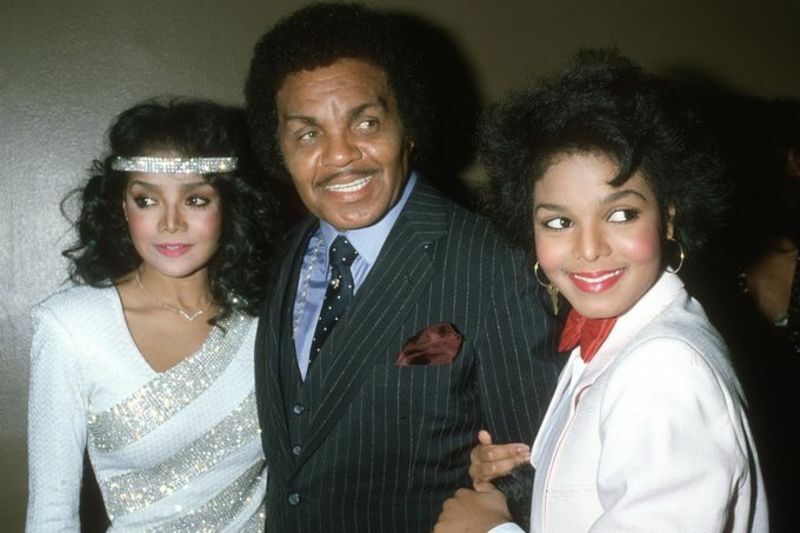 The Jackson's official site outlined Joe Jackson's role stating: "Joseph's role as manager dwindled however as Motown CEO, Berry Gordy, began to take more charge on his act, a role that reverted back to Joseph when he began managing the entire family for performances in Las Vegas. Joseph also helped his sons seal a deal with CBS after leaving Motown." After such massive success and a taste for the spotlight, Michael Jackson decided to explore his solo talents which eventually lead him to the title "King of Pop" with Janet Jackson pursuing a similar music career that is still successful today. However, it wasn't always fancy hotels, success and money as Jackson's children often described him as harsh, pushing them towards fame. In a 2013 interview with CNN, Jackson was asked to elaborate and explain Janet's complaint that the children were forbidden from calling him "Dad," and were forced to call him "Joe." "You had all those kids running hollering around," Jackson said. "They're hollering, 'Dad, Dad, Dad,' you know. It sounds kind of funny to me. But I didn't care too much about what they called me, just as long as they (were) able to listen to me and what I had to tell them, you know, in order to make their lives successful. This was the main thing. However, he also admitted to whipping his kids with straps and belts. Jackson faced some controversy following his wife's public admittance of Jackson's affair that was documented in her book called "My Family, The Jacksons". The couple often went through difficult times and decided to live apart for many years but never finalised a divorce, eventually coming together to grieve as a family when Michael Jackson passed away after he overdosed on propofol. Once again the family has reunited to honour the patriarch of the family. Last weekend Janet Jackson accepted an award at the Radio Disney awards ceremony and honoured her father saying: "My mother nourished me with the most extravagant love imaginable," she said. "My father, my incredible father drove me to be the best I can. My siblings set an incredibly high standard, a high bar for artistic excellence." Video: 10 Children From Horror Movies You Won't Recognize Today!